THERE IS NOTHING like a day of orchard hopping to get the juices going about the 2015 apple crop. We arrived at Carlson Orchards in Harvard, Massachusetts, around noon on a beautiful August day. Frank Carlson, who runs the orchard with his two brothers, Bruce and Bobby, had Greek salads waiting for us at a picnic table, but he had to excuse himself several times to take phone calls or fill orders for peaches. 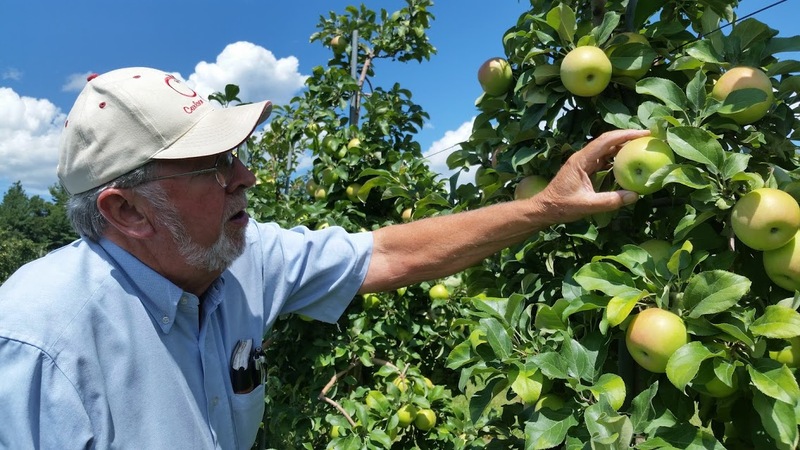 At 72, Frank is always on the move, yet in between interruptions he patiently offers a steady stream of information and observations about apples and tree fruit. The big news of the day was about dreaded hail. A series of vicious storms had swept across much of the region the day before, and growers were now looking for news of their neighbors, comparing notes, and looking for damage. Just a few seconds of hail can injure an apple crop, shredding the leaves and nicking the fruit. A bad storm can wipe out an entire orchard in less than a minute. Fortunately Carlson Orchards was not hit, but there were scattered reports of hail in central Massachusetts. It has been a good spring and summer growing season so far, but there are still several critical weeks before the main harvest begins in September. The growers can only hope that they get through this period without getting hit by heavy winds, which can knock apples off the tree, or hail. But Carlson Orchards, like most of New England’s orchards, has an outstanding crop. We drove through the orchard and stopped to inspect Ginger Gold, Honeycrisp, and Macoun trees, all loaded with developing fruit. We followed the shrill note of a red-tailed hawk and watched it soar above the orchard. The raptor is welcome here, as it helps keep down the rodent population. Every living creature wants a bite of these apples, it seems, from deer and turkeys to mice, bugs, and bacteria. Frank points out a sun spot on one apple, the fruit’s equivalent of sunburn. There are tiny nicks from hail on just a few apples, not enough to worry about. He cuts a third apple open to reveal some discoloring inside. These are minor flaws. All things considered, it appears to be an excellent crop. Other than the threat of hail, the big unknowns now are size and color, for which the next month’s weather will play a critical role. Timely rain in the next few weeks will help the apples size properly. Cool nights are needed to draw the apple’s sugars closer to its skin, and to develop red color. It is early August, but the earliest apples have already come and gone, starting with two rare ancient apples of Russian descent, Red Astrachan and Yellow Transparent. Their age and parentage are unknown, but they are believed to go back to at least the 17th century. Both apples ripen in late July, and they are gone in a few short weeks. Red Astrachan’s mild, tart flavor is considered especially good in sauce and pies. Yellow Transparent is sweet with a hint of tartness. Both heirlooms can satisfy a craving for fresh apples if eaten soon after they are picked, but their flesh softens almost as quickly as a blueberry or peach. 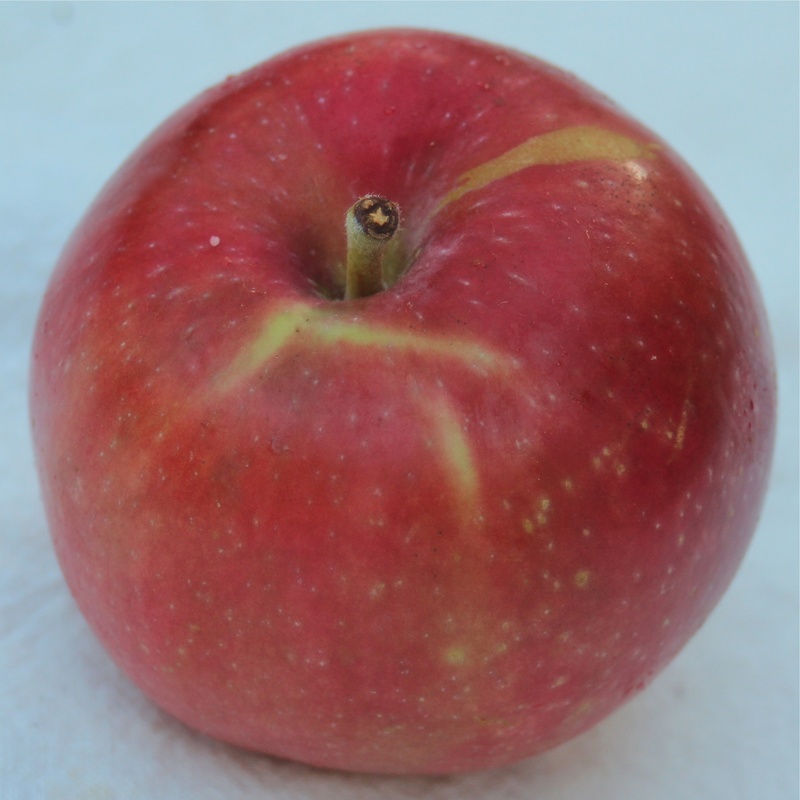 A newer short-season apple called Vista Bella was being picked in late July at Red Apple Farm in Phillipston, Massachusetts. 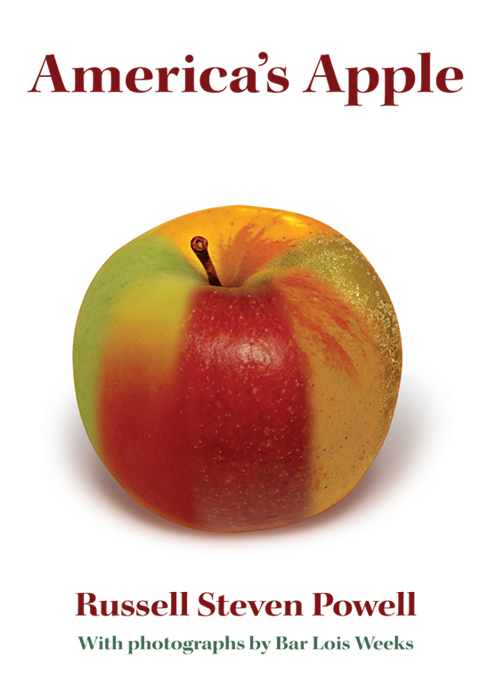 Developed at Rutgers University in 1956 from a mix of five rare apples (July Red, Melba, Sonora, Starr, and Williams), Vista Bella was not released commercially until 1974. Its flavor is mild, with a hint of raspberry. 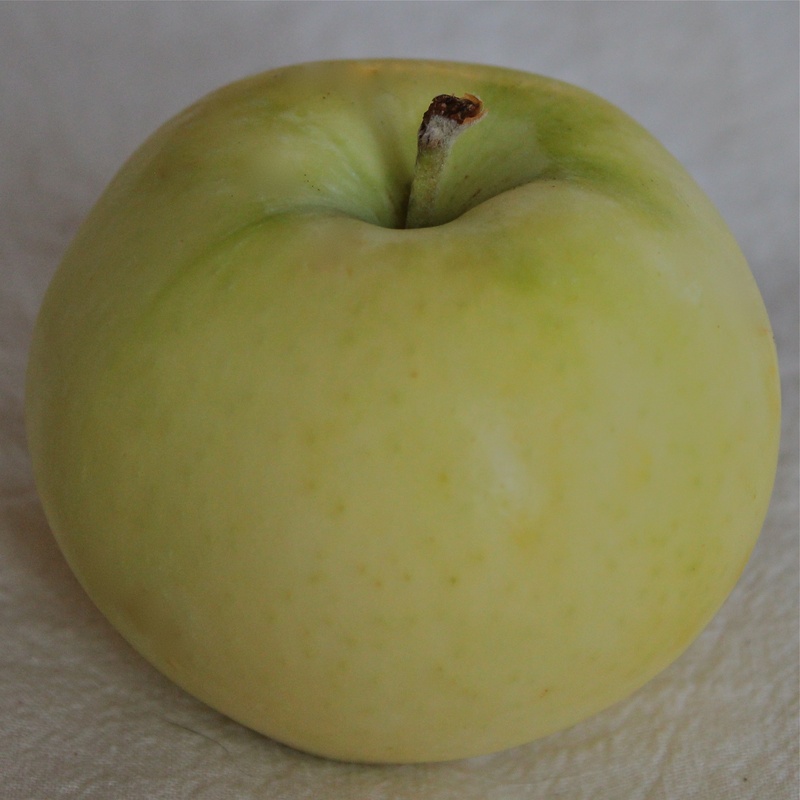 Almost as rare as the Russian apples are Lodi, a tart, yellow-green apple with soft flesh, developed from a cross of Montgomery and Yellow Transparent in New York state in 1924, and Quinte, a Canadian apple from 1964 resulting from a Red Melba-Crimson Beauty cross. Quinte is mostly red, firmer than Lodi, with a nicely balanced flavor. Brookfield Orchards in North Brookfield, Massachusetts, has a small supply of both apples, and Diana Nydam, a member of the fifth generation of the farm started by Arthur Lincoln in 1918, saved a few of each for us to sample and photograph. 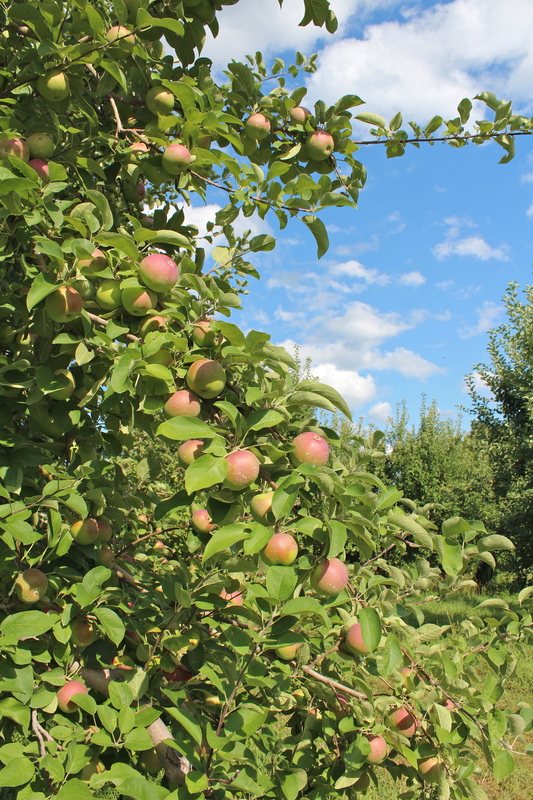 Brookfield Orchards, too, was spared from hail and is looking at a better-than-average crop. 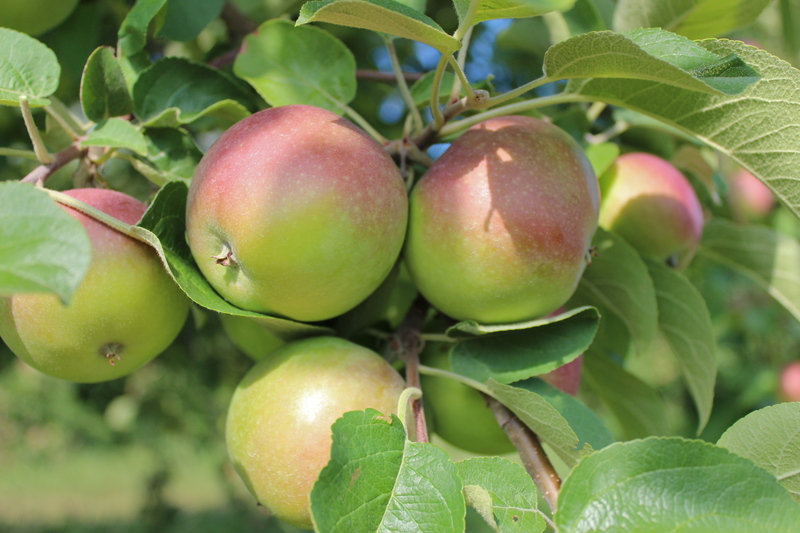 Two of the next apples to arrive on the scene, Jersey Mac and PaulaRed, are more widely available and keep better than the other varieties in this early season group. Despite its name, Jersey Mac does not have McIntosh heritage; its parentage includes Melba, Wealthy, Starr, and Red Rome. Like Vista Bella, Jersey Mac was developed at Rutgers University in 1956, and released commercially in 1971. Jersey Mac has a mild, sweet flavor, with hints of strawberry. While it does not store well compared to later apples, it lasts longer than the first apples to appear, especially if kept cold. PaulaRed is of similar vintage as Jersey Mac, discovered in Michigan in 1960 and released commercially in 1968. 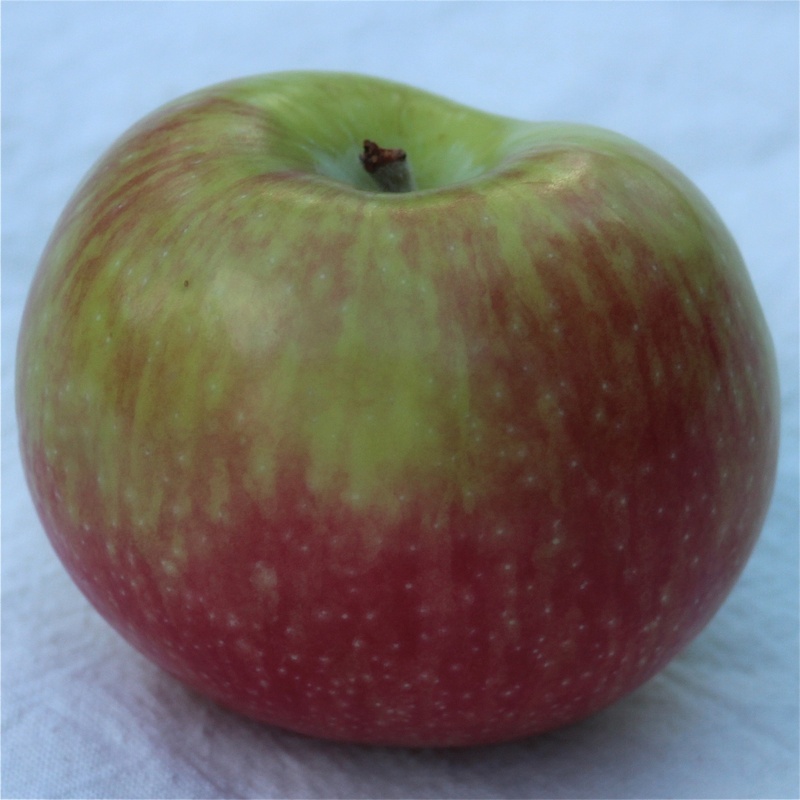 It is a chance seedling discovered near an orchard of McIntosh trees, and its sweet-tart flavor and red color with green highlights suggest that its parentage may include McIntosh. The real Macs are just a few short weeks away. IN BETWEEN visits to Carlson and Brookfield Orchards, we made a brief stop at J. P. Sullivan and Co. in Ayer, the biggest apple packing and shipping facility in New England. Big things are happening at J. P. Sullivan this summer, including a major solar installation and a brand new packing line that is scheduled to go online August 20. This once-in-a-generation investment speaks volumes about the company’s confidence in the apple industry, and will give apples an even smoother, safer ride as they are cleaned, sorted, and packed for shipping to the region’s grocery stores. 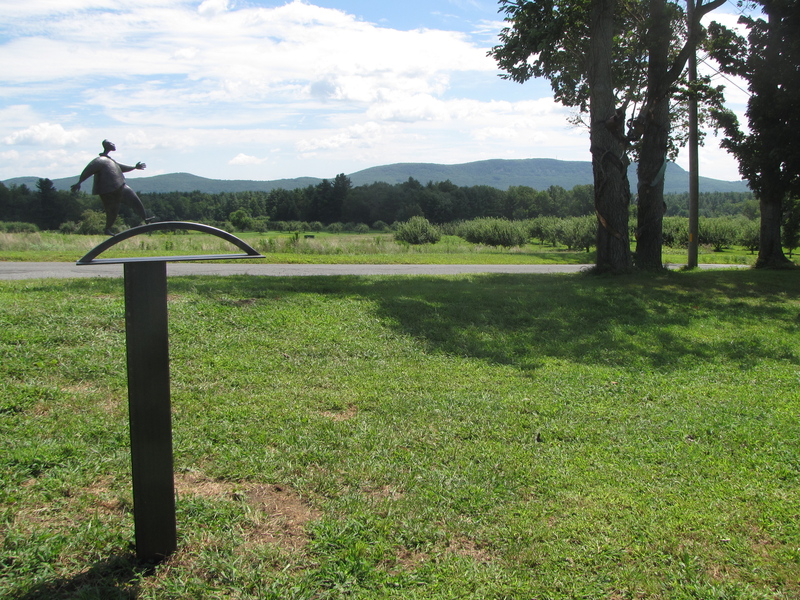 THE OPENING RECEPTION for the third Art In The Orchard, a biennial outdoor sculptural exhibit at Park Hill Orchard in Easthampton, Massachusetts, is this Saturday, August 15, from 1 p.m. to 5 p.m. This walking orchard tour features the works of more than 20 artists from around the region, whose sculptures are nestled in and among the apple trees. The sculptures will remain on view through October 15. Carlson Orchards celebrates its 13th Annual Peach Festival Saturday, August 15, and Sunday, August 16, from 10 a.m. to 4 p.m., rain or shine. There will be live music, hay rides to the peach orchards, product sampling, and a cookout. For more information, call 978-456-3916. 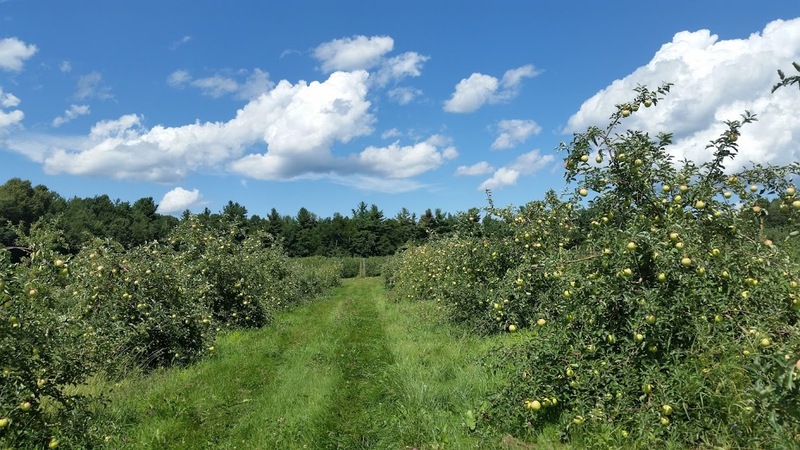 WORKING ORCHARD MANAGER: Seeking a passionate, hardworking manager and farmer for a family owned and operated fruit orchard in central Connecticut that has been in business for more than 38 years. We grow apples, pears, peaches, nectarines, and plums for pick-your-own and wholesale on 33 acres with a country store, which is managed separately. The position will lead and oversee the property, farming, and management of staff, as well as hands-on work that includes, but is not limited to, pruning, fertilizing, spraying, herbiciding, harvesting, grading, and running wholesale and pick-your-own business. Experience in fruit growing is preferred but not necessary. On-site training from the owner of the orchard will be a large part of the on-boarding process to help you learn the details of the property and business. The owner will be your partner in management to ensure success, as we see this as a long-term career opportunity for you. Thank you for your interest. Please call 203-213-8833 to learn more about this new position. THE APPLE’S unparalleled versatility as a food is well documented. Apples are good eaten fresh or cooked, can be served at any course of any meal, and pair well with most any food, sweet or savory. But apples are also cultural icons cherished for their beauty and history, the subject of a number of our most enduring stories and myths. A web search for “images of apples in art” reveals hundreds, if not thousands, of pictorial renditions of this worldly fruit, including several by such noted painters as Claude Monet (Apples and Grapes), and especially Paul Cézanne, for whom the apple held great fascination (Dish of Apples, Still Life with Apples and Pears, Still Life with Jar, Cup, and Apples, and Still Life with Apples and Oranges). The orchard can be a beautiful setting for sculpture, too. 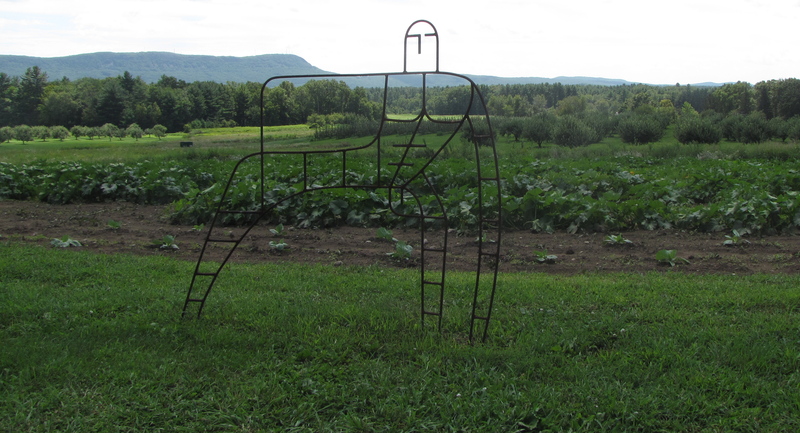 Art in the Orchard is an installation of 20 sculptures nestled in among the apple trees and gardens at Park Hill Orchard in Easthampton, Massachusetts, with a gorgeous backdrop of the Holyoke Range. The artwork ranges from large to small, realist to abstract, serious to whimsical, reflecting materials as diverse as the artists’ interpretations. It is an innovative way to heighten the already powerful sensory experience of the orchard, combining food for the body with food for the soul. BEFORE REFRIGERATION, most apple growers planted many varieties to extend the season, some that ripened early or late, others because they stored well over the winter. As people have become more interested in learning about and tasting unusual apples from the past, some of these long-forgotten varieties are experiencing a revival. Three examples are Red Astrachan, Melba, and Yellow Transparent. 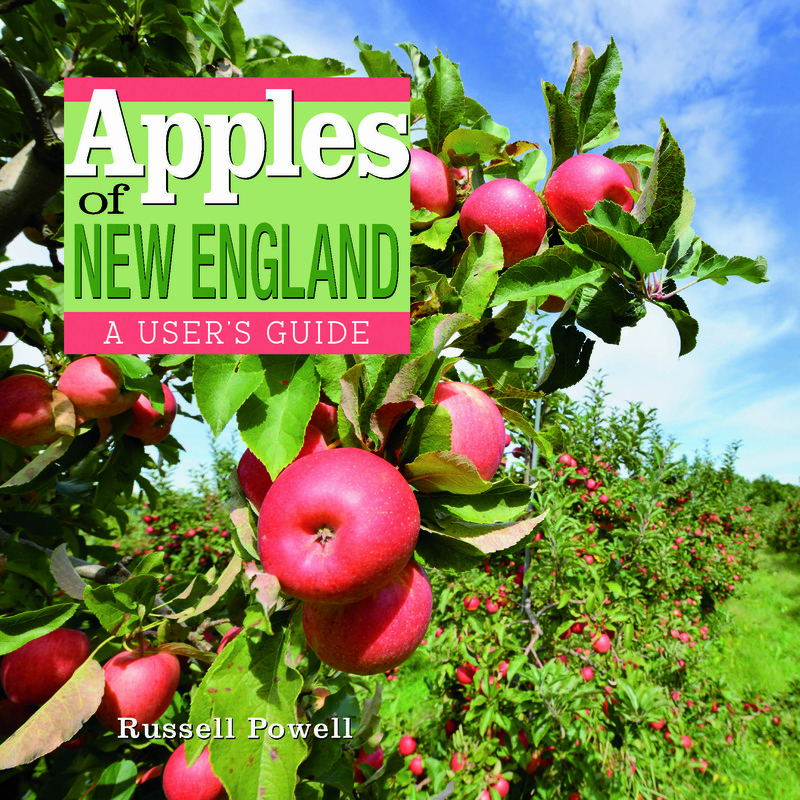 Red Astrachan is one of the earliest varieties to ripen; in parts of New England its season has already passed. 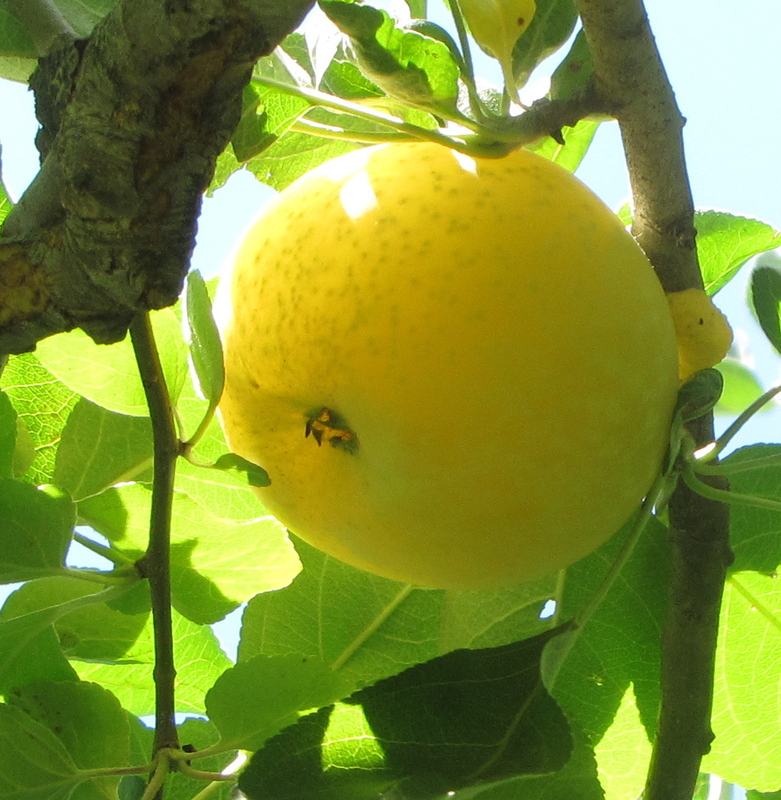 A medium-sized apple, it has a thin, yellow skin streaked with shades of red, covered with a bluish bloom. Red Astrachan is moderately juicy, with a tart flavor that makes it more attractive for cooking than fresh eating. It is considered especially good for pies and applesauce. It does not store well, and its crisp flesh can become mealy soon after they are ripe (they are even known for breaking their skin when over-ripe). A Russian apple, Red Astrachan migrated westward, first to Sweden, on to England in 1816, and arriving in America in 1835, one of four Russian apples (with Alexander, Duchess of Oldenburg, and Tetofsky) received by the Massachusetts Horticultural Society from the London Horticultural Society. Red Astrachan’s popularity peaked around 1900, when it was widely grown around the world. It was especially popular in the American south. Its parentage is unknown. Melba’s path to New England was southward; it was developed in 1898 by the Central Experiment Farm in Ottawa, Canada, and introduced commercially in 1909. Lightly sweet with a hint of tartness, Melba’s fine, white flesh and thin skin give it a pleasing crispness, and it is good for both fresh eating and cooking. Its skin is yellow to lime in color, with streaks and blushes of pink and red. Melba’s parents are McIntosh and Liveland Raspberry. Also known as Lowland Raspberry or Red Cheek, Liveland Raspberry is an early season apple that originated in the Lithuanian province of Lievland. Now rare, it was introduced into the United States in 1883. While McIntosh contributes to Melba’s fragrant, sweet-tart flavor, Liveland Raspberry influences its early ripeness, and supplies its tender flesh and thin skin. Moderately crisp and juicy, Yellow Transparent has white flesh and a light, sweet flavor with just a hint of tartness. Yellow Transparent should be used soon after they are harvested, as they do not store well. Their parentage is unknown. THE RECIPE for this eggless Molasses Apple Cake was adapted from From A Monastery Kitchen (Ligouri/Triumph), a natural foods cookbook by Brother Victor-Antoine d’Avila-Latourrette, a resident monk at Our Lady of the Resurrection Monastery in upstate New York. The cake has a rich, dense flavor and texture, and it goes nicely served with a little vanilla ice cream, Greek yogurt, or whipped cream. I used one Red Astrachan and one Melba apple. For their nutritive value, I almost always leave the peels on. Preheat oven to 350°. Grease 8×12 pan. In saucepan, cook apples in molasses on medium heat until tender, stirring occasionally. Melt butter in hot water in large mixing bowl. Sift dry ingredients and gradually stir in to liquid (the mixture will be fairly dry). Stir in molasses and apples until dry ingredients are blended. Pour batter into prepared pan, and bake for about 30 minutes. Serve warm.